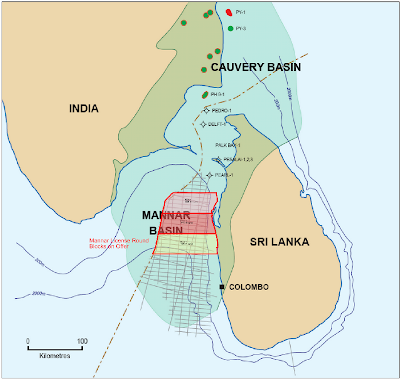 Sri Lanka is set to offer a second batch of licences to explore for oil and gas, as it looks to start production in the country and ease its dependence on imported fuel. The Sri Lanka’s government said yesterday that it would invite companies to bid for licenses on some of the 13 blocks in the Cauvery and Mannar Basins off the nation’s northwest coast. It added that details on the number of blocks would be announced shortly. It also added that it would launch a roadshow for the process on March 7 in Houston, Texas, before moving on to London and Singapore. The step comes after Cairn India, the only firm to buy a license in an earlier offering, kicked off the second part of its exploration programme early this month, following the discovery of gas and condensate in the first phase. The island nation does not currently produce oil, spending US$5.04 billion (RM15.62 billion) on import in 2012. Seismic word carried out earlier by Norway’s TGS Nopec Geophysical Co ASA showed some potential in the northern Cauvery Basin, which on the Indian side has producing wells, and in a basin off the island’s southern coast. 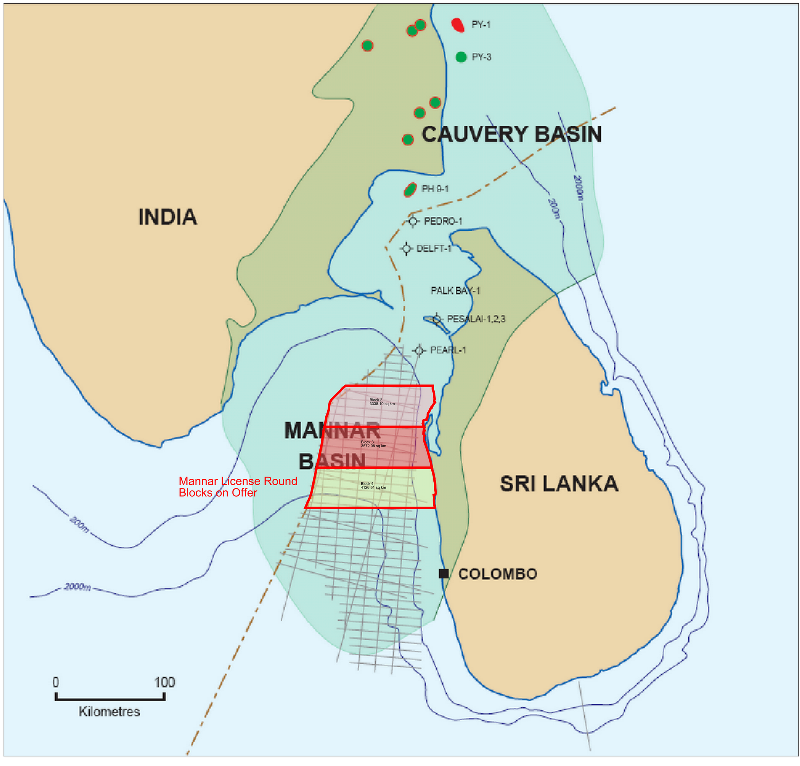 Sri Lanka’s government has said the seismic data shows the potential for more than 1 billion barrels of oil under the sea in a 30,000sq km area of the Cauvery basin. Rusia’s natural gas monopoly Gazprom and Malaysian state oil company Petroliam Nasional Berhad (Petronas) have held talks with Sri Lanka on potential exploration. Vietnam and Sri Lanka signed a deal on O&G cooperation in October 2011.